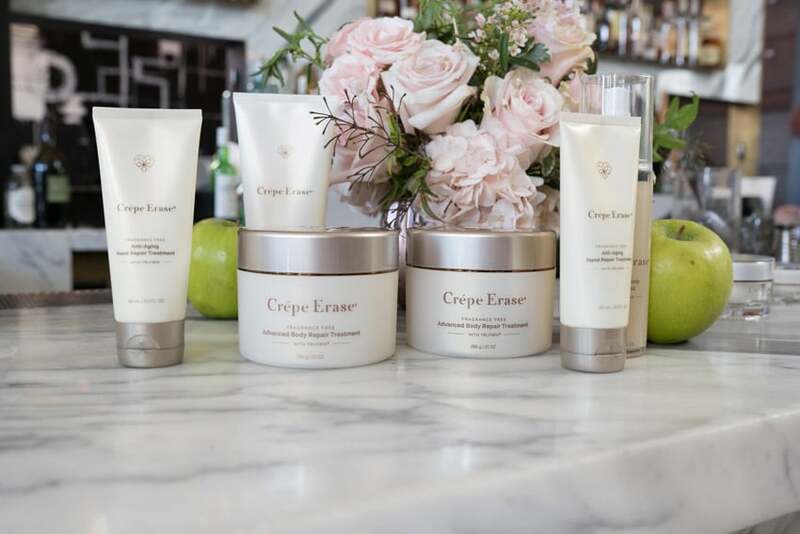 A few weeks ago, Crepe Erase invited me to attend a private brunch event at Norah in West Hollywood. Their spokesperson, Courtney Thorne-Smith, hosted the event. So, a couple dozen influencers and I had the chance to meet her and try out all of the Crepe Erase products. Now that I’m in my late 30s, I’ve started to noticed a few places on my body where my skin looks a little older than others – namely my hands and under my eyes. A lot of women also notice crepey skin on their knees, chest and neck, and under arms. What I learned during the event is that Crepe Erase is a great solution for crepey skin. It was specifically designed to target crepey skin and reverse those signs of aging. I’ve been using it religiously all over and I’ve already noticed improvements. I’ve especially noticed improvements on my hands, where the crepey skin bothers me the most. Now it’s your chance to try Crepe Erase. 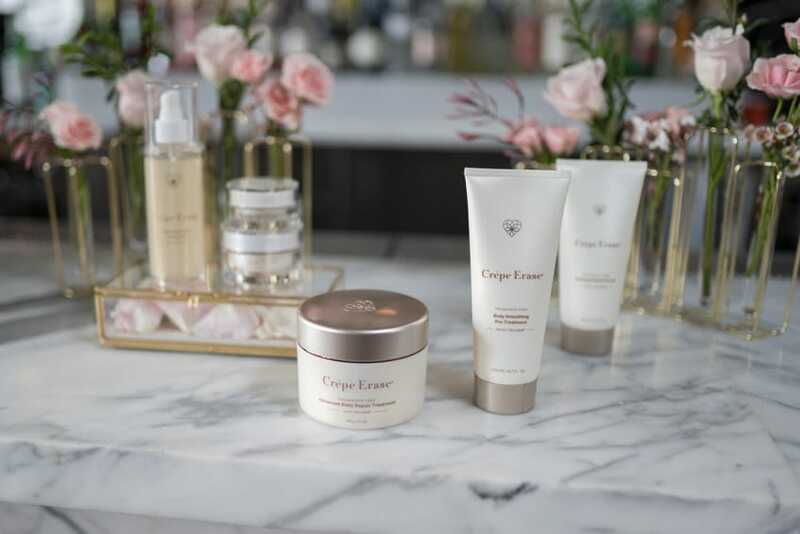 I’m giving one lucky winner full-size versions of the core 2-step system which includes the Body Smoothing Pre-Treatment and Advanced Body Repair Treatment, along with the Overnight Plumping Facial Treatment and Eye Cream. To enter, simply follow the rafflecopter link below. Open to U.S. Residents Only. Winner will be chosen at random using Rafflecopter. Love to try this for my hands too.